Text Engine Productions – Text Engine Consulting, Inc. Text Engine Productions is a division of Text Engine Consulting, Inc. that produces films, video, and web series to entertain, enlighten, and even educate. 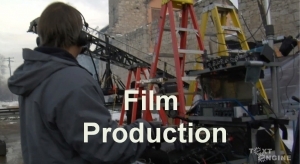 We can create a custom production team to fund, produce, and edit your film project.